A straight smile looks and feels great. It is also easier to keep healthy. That’s why you see so many kids wearing braces these days. Straight teeth and a balanced bite just make sense. But adults need help with their teeth too! Clear braces can be the perfect solution for adults with crooked, gapped or crowded teeth. Why Would I Need Braces as an Adult? Many adults find themselves wishing they could have braces, but are hesitant about the look or commitment of traditional orthodontics. 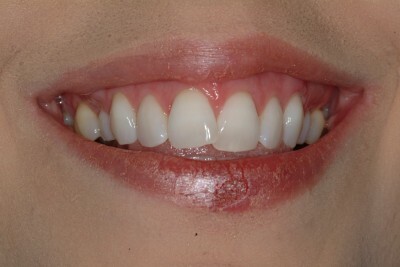 Some never had orthodontic treatment as children. 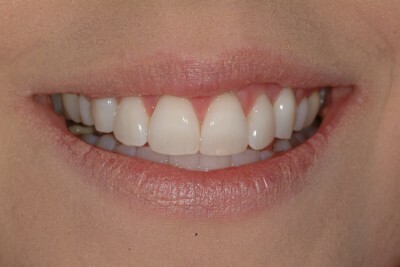 Others have found that their teeth have shifted and become misaligned, tight and uncomfortable with age. And some are surprised to find that even though they had braces as a child, their teeth are moving back to the place they were before braces. Those crooked, crowded teeth are unattractive and uncomfortable, aren’t they? But did you know that crooked, crowded and misaligned teeth could be bad for your health as well? When teeth are crooked, plaque build-up often increases, leading to periodontal disease and tooth decay. Unbalanced or crowded teeth can cause headaches and jaw pain. This improper balance also means you can’t chew food properly, which can sometimes lead to problems with digestion. How Can Riverview Dental Designs Help Straighten my Teeth? We are pleased to be able to offer our patients a more adult, professional-looking alternative to traditional braces – clear dental aligners. These aligners give you the healthy smile you have always wished you could have without the discomfort of metal braces or the lifestyle change they demand. Instead, our clear braces work with comfortable acrylic aligners that are so subtle, they are only noticeable if someone looks very closely. Patients love that with these clear braces they can live the way they please – they eat what they want, brush and floss their teeth as usual, even take the aligners out for special occasion or a date. Ask us about the clear alternative to braces today!